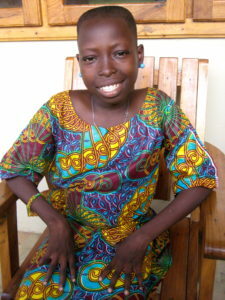 Another large part of Tree of Life’s work is sponsoring children in the local villages. In addition to the orphanage, we have approx. 40 children who are sponsored in their home environment by living family members or caregivers. If the child is safe and cared for in their home it is better that we help them to stay there rather allowing poverty to tear the family apart. Often times we also find older boys who are expected to find their own way but are still trying to go to high school and unable to truly make it on their own. We are grateful to provide hope for such cases as well. Social surveys are done of prospective children to gain a better understanding of the situation and the needs of the child. If a child is determined to truly be in need, fit the criteria of the ministry, and the family is unable to provide adequate care on their own, we look to sponsor them on a monthly basis. If a child from a local village is in our sponsorship program, they receive money on a monthly basis to help the family with food, clothes, and other daily needs. In addition, we supply all of these children’s school needs and take care of any medical issues that may arise. The children know to come to our center to receive care from our staff, who are trained medical professionals from the USA. If a medical issue is beyond our capabilities, we will assure their care at a trusted hospital in country. The children who are in this program are seen frequently. A rotation between one of our workers going to their home and the child coming to our center for a meeting happens on a monthly basis. The children are held accountable for their school work and their behavior at home, as we look to partner with the parents or caregivers to help educate them and empower them in raising their children well. Myriam and Mariano are two such kids who are in the village sponsorship program. Their mother and father died when they were young, leaving them without a parental figure. Their older brother and his wife stepped up and took them in, but they did not have the means to adequately care for them. On top of that, Myriam and Mariano both have sickle cell anemia, a disease that is genetically passed on and incredibly painful. This disease affects the red blood cells in a body and also brings about many other secondary illnesses and leaves the people weaker than normal. They must take extra medicine regularly to maintain their health, which brings about another significant cost. Children like these are finding hope for a future through the ministry in Sakete. 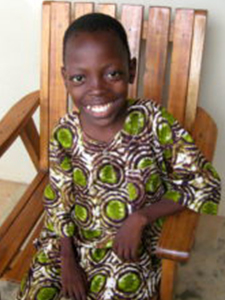 Samuel is a boy in our village sponsorship program. He lives with his mother, grandmother, and siblings since the death of his father, leaving the family in a difficult spot. Samuel and his mom have so much joy and are incredibly hard workers, but despite their efforts, they are not able to make ends meet. 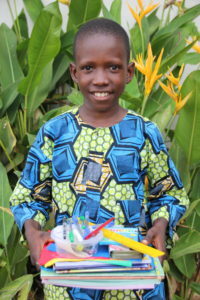 Through a monthly sponsorship, his family is able to buy food to eat and support other needs. Just a help to offer hope to their dedicated mother who desperately wants to care for her children whom she loves, but is unable to alone. We are encouraged in helping Samuel as he has dedicated himself to his studies and has consistently been at the top of his class. We look forward to seeing the man that he becomes.